Human rights activists in Ahvaz are reporting that 22 people in various prisons in Ahvaz were hanged and that their families were informed of their execution. Official sources have yet to confirm the executions but many believethat the hangings were carried out secretly in retaliation to a Septemberattack against a government parade in this city. Unofficial sources have identified four of those who were executed as Ahmad Alaboudi, Mohammad Momeni and two of his sons, Nesar and Asameh Momeni. On September 24, Iran’s Ministry of Intelligence issued a statement stating that 22 people were arrested in connection to the military parade attack. The names of these four men were among the 22 detained suspects. The Ministry also published a video showing the detainees with blindfolds facing a wall. 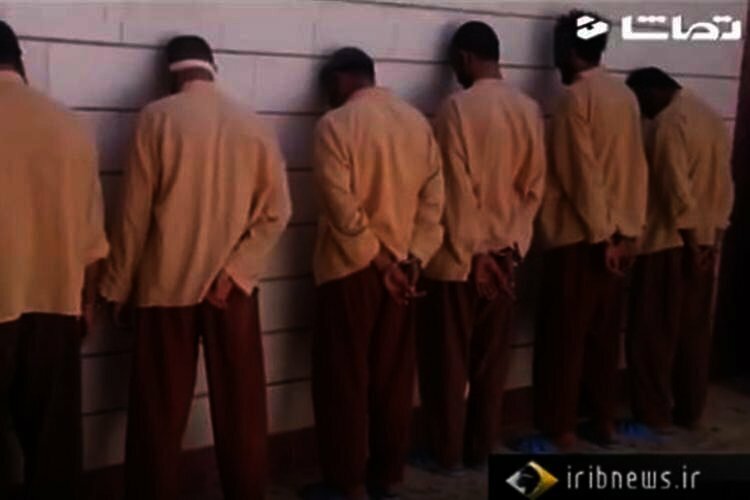 Arab activists have said that the Khuzestan Intelligence Agency contacted a number of the detainees’ families today informing them of the execution. They were also told that they were not allowed to hold ceremonies for their loved ones. Reports also indicate that Ahvaz Prison officials and the city’s Revolutionary Prosecutor also confirmed the executions when asked by the grieving families. It is not clear whether the 22 people has adequate legal procedures or whether they had access to lawyers. There are also ambiguities as to how an initial hearing, court of review and finally a confirmation by the Supreme Court was carried out in the span of 45 days. Human rights activists say that Iran arrested hundreds in Ahvaz, Khoramshahr, Sosangerd, and Abadan following the September 22 attack on a military parade in the southwestern city of Ahvaz, the capital of Khuzestan province. In a November 2 statement, Amnesty International said that the scale of the Ahvaz arrests was deeply alarming. “The timing suggests that the Iranian authorities are using the attack in Ahvaz as an excuse to lash out against members of the Ahwazi Arab ethnic minority, including civil society and political activists, in order to crush dissent in Khuzestan province,” said Philip Luther, Amnesty International’s Research and Advocacy Director for the Middle East and North Africa. Iran News Wire sources have not been able to separately confirm the executions.